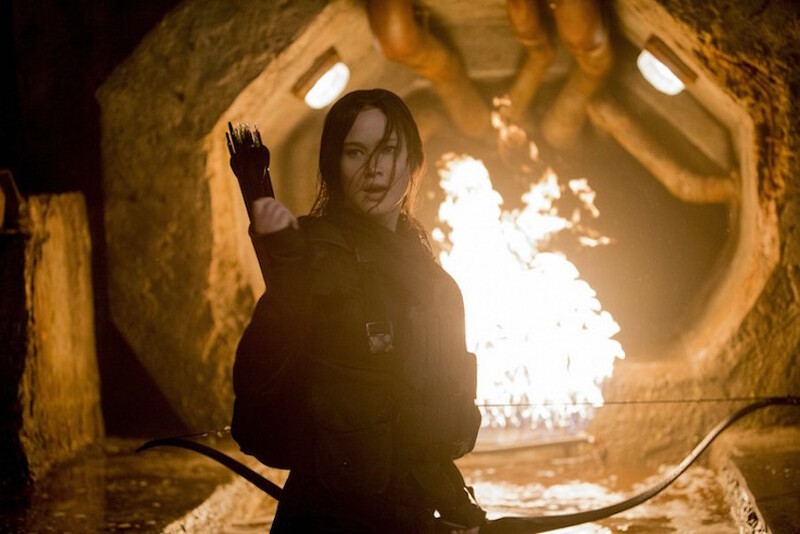 MOCKINGJAY PART 2 || MY THOUGHTS | RAWR BOWS. I was going to start this post with the last few sentence from the book but then I realised that some people might have not read the book and I don't want to spoil them so, soz, no artsy intro for you today. I recently saw the last Hunger Games movie, Mockingjay Part 2. And let me tell you something, it's hands down one of the best movies I've ever seen. First of all, the movie was pretty well adapted from the book, as far as I can remember - I read the book a while ago. It was the darkest movie of the series and probably the best one. It transmits a really clear message about tyranny and rebellion; it doesn't embellish war like most YA Hollywood movies do. The acting was stellar, Jennifer Lawrence outdid herself. A lot of the last book revolves around what's going through Katniss' head, Lawrence manages to externalise all these feelings subtly but effectively making you really feel her struggle and anger. The rest of the cast were also brilliant, with Liam Hemsworth looking specially attractive and Josh Hutcherson making me cry like a baby. I think the ending was captured really well, transmitting both happiness and sadness - showing that some wounds are never healed. I was on the edge of my seat during the entire movie (I even had to hold my friend's hand at one point), jumping every three minutes and crying and laughing at the same time. It was literally a rollercoaster of emotions and I'm not sure I'm 100% recovered yet, if I'm honest. Also, [SPOILER] Haymitch and Effie's kiss was probably my favourite part of the movie, not gonna lie. Effie will always be my favourite. On the night I feel that thing again, the hunger that overtook me on the beach, I know this would have happened anyway. That what I need to survive is not Gale's fire kindled with rage and hatred. I have plenty of fire myself. What I need is the dandelion in the spring. The bright yellow that means rebirth instead of destruction. The promise that life can go on, no matter how bad our losses. That it can be good again. And only Peeta can give me that. So after, when he whispers "You love me, Real or not real?" I tell him "Real."